Implementation of the US pivot to Asia remains haphazard and piecemeal. 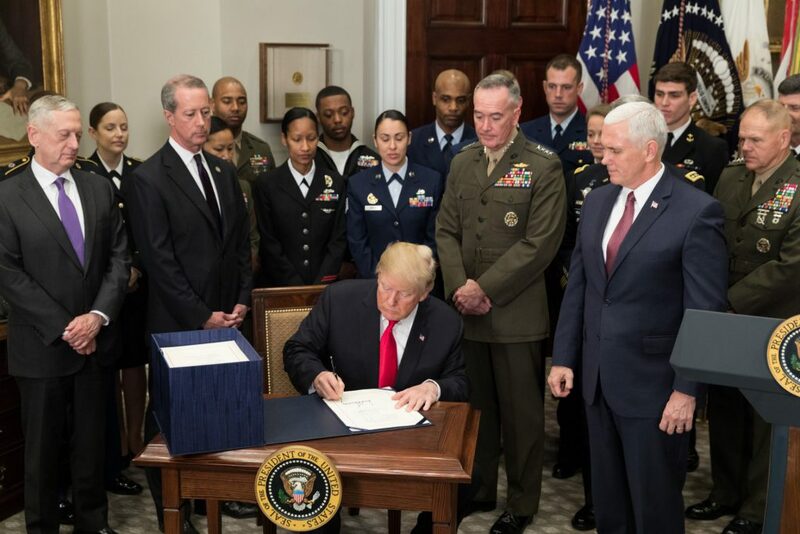 The National Defense Authorisation Act 2019 reveals uncertainty in Washington’s commitment to counterbalance Beijing’s challenges and threats to the US regional order and domestic political system. The National Defense Authorisation Act (NDAA) 2019, signed on August 13, formalised the US perception of China as a “long-term strategic competitor.” This suggests an increasingly regional outlook that is marked more by competition than cooperation. By implementing the National Defense Strategy, the NDAA further confirms China’s ideological threat: “to shape a world consistent with their authoritarian model—gaining veto authority over other nations’ economic, diplomatic, and security decisions.” From Washington’s perspective, Beijing’s goals are in clear opposition to the US pursuit of a liberal-democratic world order. While the bill reveals the desire to do something serious about confronting China, the US is confounded by the limits of its reach and the risks posed in containing Beijing’s challenges and threats. Although the bill presented Beijing as a cybersecurity threat to the US domestic political system, counter-measures risk military escalation. In particular, the conditions imposed may not necessarily restrain the National Command Authority (NCA) — made up primarily by President Donald Trump and Secretary of Defense James Mattis — from preauthorising the use of military force (without Congressional approval) against Chinese cyber espionage activities. While the bill promises to “deter, disrupt and defeat Chinese cybersecurity operations,” it currently only justifies a “proportionate” response. Washington would still have to weigh the benefits and risks of retaliation before escalating to the level of a traditional military response. Beijing is also confident of avoiding punishment given the relative success of its political lobbying in the Congress; tougher provisions endorsed earlier by the Senate were blocked. As a result, the bill’s lack of credibility may encourage China to pursue further an “active, systematic, and ongoing campaign of attacks against the Government or people of the United States in cyberspace.” In turn, China’s continued efforts may fuel greater Congressional support in the long term to loosen conditions on the pre-authorisation of the use of military force. Trump has experienced a clash of interests with Mattis, who has been a China hawk both during and prior to the NDAA making. As well as advocating for a softer bill, Trump’s short-term economic deal with China — in which Chinese telecommunications company ZTE escaped fatal US sanctions by accepting a $1 billion fine and US monitoring of its operations — has left contrasting US strategic interests competing for priority. The compromise is set against Trump’s overall support for other measures of the bill to go hard on Beijing, such as banning the hosting of Confucius institutes for language training and strengthening the Committee on Foreign Investment in the US to regulate Chinese investments. Trump’s bargaining position will likely shift towards that taken by Mattis, and Beijing’s continued active campaign is likely to encourage the pair to reach a consensus in preauthorising the use of military force. On a broader note, the bill demonstrates a hardening perception that Beijing is challenging US primacy by gaining “access and influence” through geo-economic projects including the Belt and Road Initiative and using “asymmetric military activities… short of traditional armed conflict.” The emphasis on “asymmetric military activities,” in particular, denotes Washington’s recognition of China’s effective ‘salami slicing’ tactics in the South China Sea, which involved incremental militarisation and land reclamation below the tipping points of war. In response, the bill has approved banning Beijing from the Rim of the Pacific military exercise and publicising Chinese military activities in the South China Sea. While this is necessary to expose China’s assertiveness and reassure allies and partners, for the US to actually do something substantial in pressuring Beijing to roll back its activities it will have to drastically rethink the nature of the US Indo-Pacific strategy. This strategy, centred upon upholding a ‘free and open Indo-Pacific’, requires a relatively neutral approach by viewing the South China Sea as international waters rather than sovereign territorial waters of any particular nation. 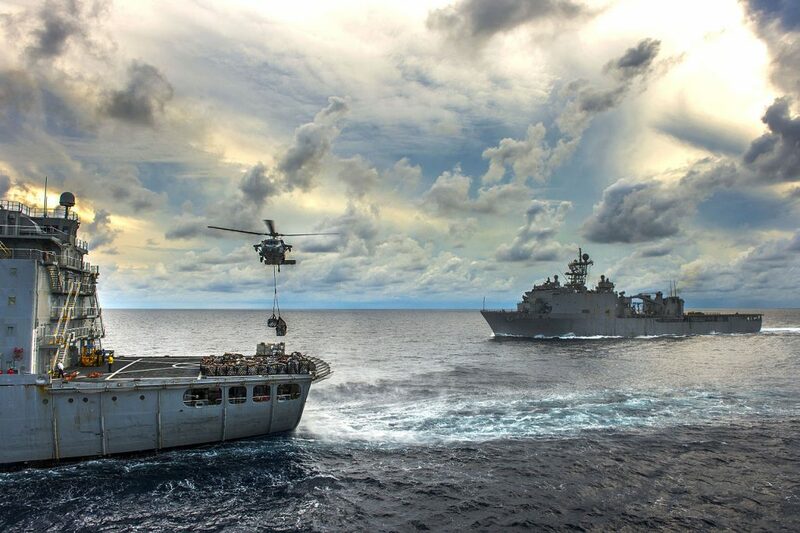 This constrains Washington from taking explicit sides during a standoff other than issuing acts deemed appropriate under international law: diplomatic statements to ‘calm’ parties, dis-inviting Beijing from future military exercises, and expanding freedom of navigation operations (FONOPs). The bill may therefore be insufficient to deter China or reassure smaller South China Sea dispute claimants that the US will readily come to their assistance. Unless Washington forcibly removes Chinese military features, which would amount to an act of war, Beijing is unlikely to withdraw its heavily-invested activities. Conversely, any further FONOP may risk ‘unsafe’ collisions between US and Chinese military forces as both sides jostle within the tight constraints of maritime space. While the effectiveness and risk of the US response towards China are in question, the danger is that the bill might just be shifting Washington’s overall strategic priorities from the South China Sea to the Indo-Pacific region. This presents a dilemma for its strategy towards China: the US may moderate its activities in the South China Sea as the Indo-Pacific region requires a reallocation of resources to assist countries beyond the usual Southeast Asian partners (such as Bangladesh, Sri Lanka and India). This shift will allow Beijing to take advantage of the relative strategic retreat to further enmesh Southeast Asian nations within the emerging Chinese-led order in the South China Sea. Already, negotiation for the Code of Conduct has gained increasing momentum and manifested in the manner China prefers: an ASEAN-Plus-China framework devoid of involvement from other major regional powers. On another note, the NDAA signifies increasing unease with the growing military imbalance between Taiwan and China, and with Beijing’s alarming encroachment of Taiwan’s de facto autonomy since Tsai Ing Wen was elected to the presidency. Some new measures include the mandatory submission of a plan before August 2019 to “expand senior military-to-military engagement and joint training” and to support arms sales with Taiwan, with a particular focus on “asymmetric warfare capabilities.” For Congress, the bill supports greater “predictability of arms sales” and the visit of US hospital ships to Taiwan as part of the ‘Pacific Partnership’ mission. These provisions demonstrate Washington’s attempt to maintain a delicate balance of its policy of dual deterrence: ensuring that it does not provide so much support that Taiwan is emboldened to push for formal independence, or so little that Beijing is predisposed to seize the ‘window of opportunity’ and take the island by force. As such, the NDAA’s affirmation of the 1979 ‘Taiwan Relations Act’ (which marked the beginning of US-Taiwan unofficial ties) and removal of hawkish advocacy for US participation in Taiwan’s Han Kuang military exercise demonstrate Washington’s intention to reassure both Taipei and Beijing that the bill is not a radical departure from the norm. However, the US may not always succeed in conveying its policy of dual deterrence to both parties. This is due to the nature of the policy, which remains strategically ambiguous on the ‘appropriate’ level of support and has at times encouraged Taiwan and Beijing to take risks. On this note, the NDAA is signed against the backdrop of highly symbolic acts which may undermine Washington’s attempt to stabilise the Taiwan Strait. The acts include the signing of Taiwan Travel Act to legalise high-level official engagement with Taiwan, a Taiwanese submarine arms deal, and the long-awaited reaffirmation of Reagan Administration’s ‘Six Assurances’ to Taiwan. While such gestures are timely in reinforcing US-Taiwan relationship, they risk emboldening Taiwan and threatening Beijing to retaliate. 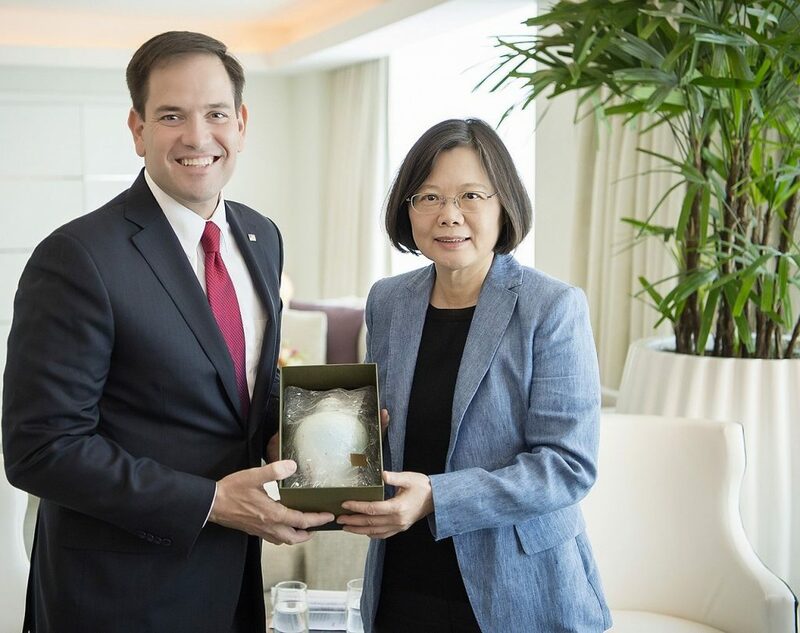 Already, President Tsai has taken the initiative to engage in a high-profile stop-over in the US in the same week Trump signed the NDAA, and Beijing responded with tough sanctions on a Taiwan-based bakery-cafe chain in Washington which Tsai reportedly visited. Such actions, though minor, portend the coming of greater instability as Beijing hardens its response to isolate the renegade island. Such conflicting positions are likely to exemplify US policy towards China and the Indo-Pacific for some time to come.